Your Self-Esteem work has helped me through the most challenging time in my career. The techniques you taught me helped me to handle difficult interactions with confidence and skill. I have learned a great deal from you and would recommend this work to anyone looking to grow and improve as a leader. I've trained for months for the two races I did this week. I wasn't sure I could make the half-marathon and beat my previous time. So I notice that I believe that if I fail I won't feel good about myself. I'm really afraid. I consider bailing from the race (coming up with ridiculous excuses). Then I realise I'm totally in victim mode. So, can I love myself for no reason at all? What if I fail - will I still be good enough? After some meditation and introspection, and being aware of your elements of Self-Esteem, I decide that I can. This isn't only about the race, but so many instances of self-induced inadequacy. 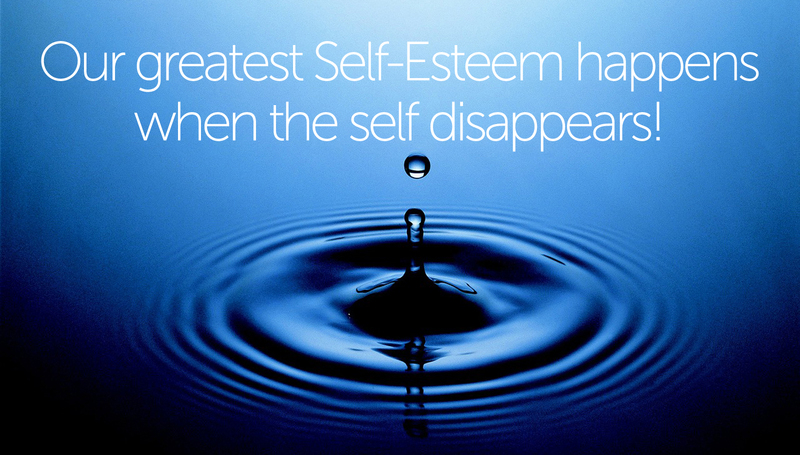 Lack of self-esteem has been a theme in my life - but I can choose with truer understanding. That's pretty cool. I can honestly say that your Self-Esteem work has given me tools that I feel I have been searching for my whole life. It has changed my perception of people and my behaviour in any relationship - be it old or new. Before doing the Self-Esteem work, I would always act in a way that would be trying to get other person to like me. I would always put them before me. Their happiness, their needs, their wants etc. It left me feeling hollow and unfulfilled. I now see myself as full. And it is not about whether they will like me - it is "do I like them?" I put my wants and needs first. And it is from this full place that I am able to give of myself more authentically. I find I now walk away feeling full / balanced / and ease with myself. Also my relationships have more meaning and I am able to connect with them on a deeper level. Mark Kahn is truly a remarkable facilitator, who not only acted as a catalyst in igniting cultural change in our organisation, he has also assisted us in transforming the organizational culture, thereby enhancing our competitiveness. Mark has done this by rolling out powerfully facilitated interventions that create the awareness and acceptance of who we are and where we should be as individuals and within a team. I would highly recommend Mark Kahn as a transformational facilitator. I love the way you talk about power and how to empower yourself in all the situations where you feel resistance!!! You are inspiring and with all the examples, it is really motivating and easy to apply in daily life. It is really so spot on, and filled with so, so much wisdom! What an amazing program, Mark!!! Congratulations on having put it all together. Thank you so much!!! I cannot praise you enough! ​I was suffering from depression and associated burnout and needed a rapid focussed intervention. I was prepared to work hard and asked Mark not to hold any punches. He cut through my well-practised defence mechanisms. By focussing on my emotional state he skilfully avoided the kinds of conversations in which I was able resort to my usual intellectual manoeuvres. He didn't present himself as an expert giving advice, but rather as a fellow traveller that had learnt a few tricks. I had a sense that his whole being was focussed on me in the time I was with him. He was able to listen, and watch, and know just when to ask me to reflect on my tone of voice, a word or a gesture. He did this in an intuitive way that went beyond the obvious and spoke of the kind of expertise that builds up after years of exposure. Coming from a scientific worldview I did not relate to some of his spiritual metaphors. He nimbly and gracefully shifted the language of the sessions to metaphors I related to. Mark's no-nonsense way of zooming in on the details of my personal dissatisfaction, without judgement or the clutter of cultural assumptions and abstract moralities, helped me grapple with the most vital parts of myself. I am so grateful for the insights he helped me access. I just wanted to thank you for all the help last year through the decision making process. Your applied business and management acumen really helped our discussions to cover both the abstract and emotional issues, while still being able to ground the theory in real life application. That was invaluable in driving myself to confident and balanced action. Thank you. ​I do want to thank you for all that you have done for me. It might not have looked like it from my mails to you about how I was feeling re: my depression -- but you really have helped me more than anyone has, ever. More than I ever thought was possible. You have saved me from killing myself and helped me believe that although I might have those thoughts, it is never an option. You have given me the tools to face life head on and not cower in the corner in self-wrongeousness. You have given me 'anti-depressants' so to speak not in pills, but in different ways of thinking and new ways of approaching life and the people in it. And for all that (and more) I can never really thank you enough. Mark Kahn is a rare, special, highly skilled facilitator who gives from his heart in his seminars and workshops. Not only is he a great source of knowledge, but he genuinely seeks the best for each individual - desiring to see their growth and success. ​I have known Mark Kahn for a number of years, and I still feel the effect and remember the pearls of wisdom of an intervention he ran over 5 years ago.